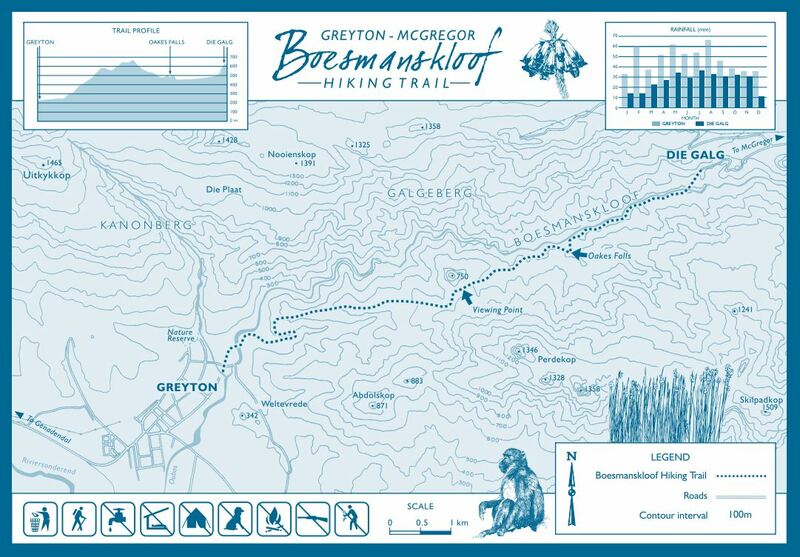 Between the towns of Greyton and McGregor, in the Riviersonderend Mountains, lies the Boesmanskloof Hiking Trail. 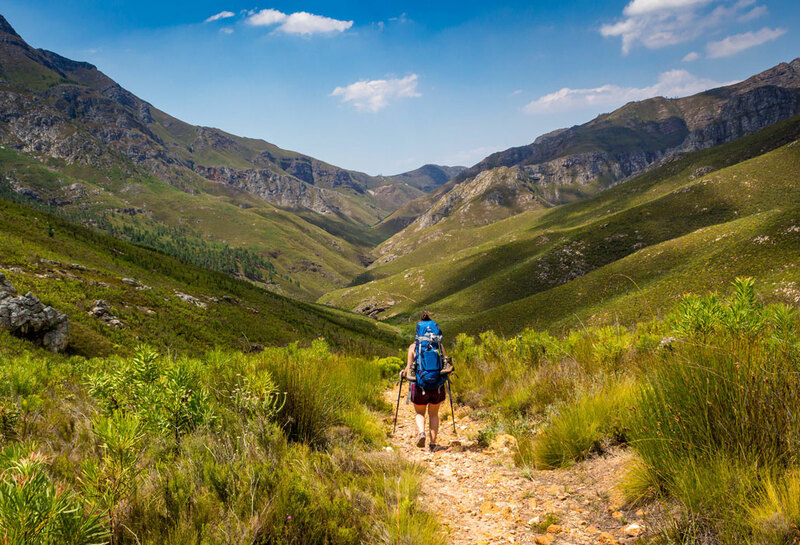 The kloof itself is 14km long, but the trail is usually done as a 2-day hike, there and back, totalling 28km. 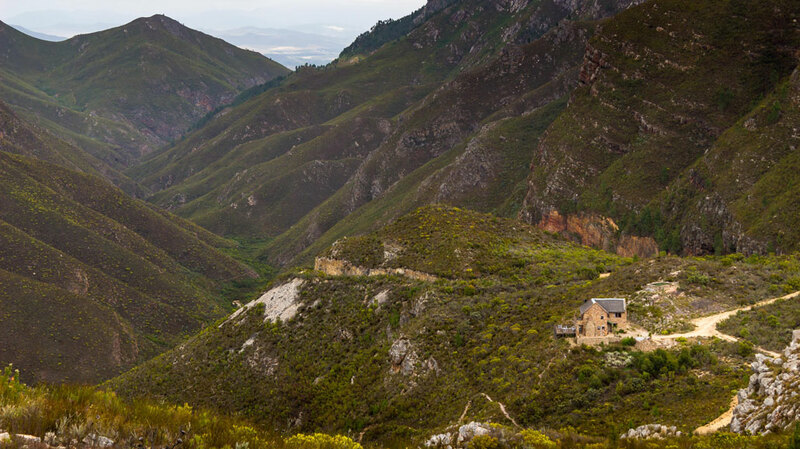 It can be started from either end, but starting from the picturesque town of Greyton allows you to overnight in the cottages at Boesmanskloof-McGregor Accommodation. 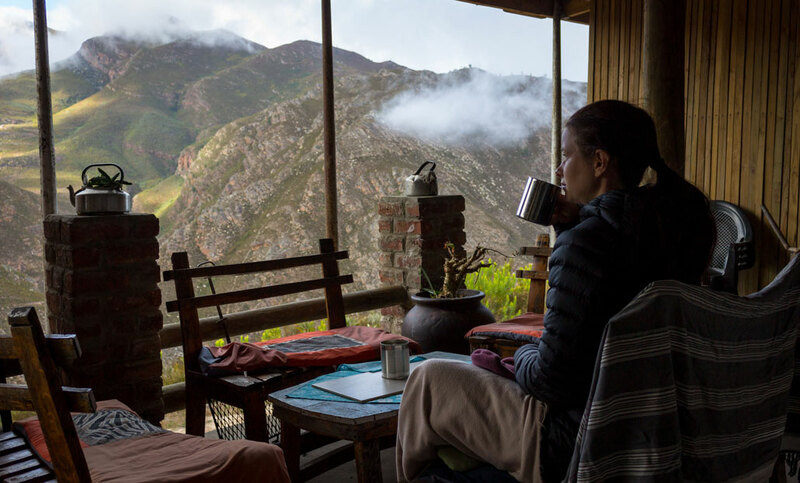 They have a certain rustic magic about them that ties in beautifully with the hike and adds to the whole experience. 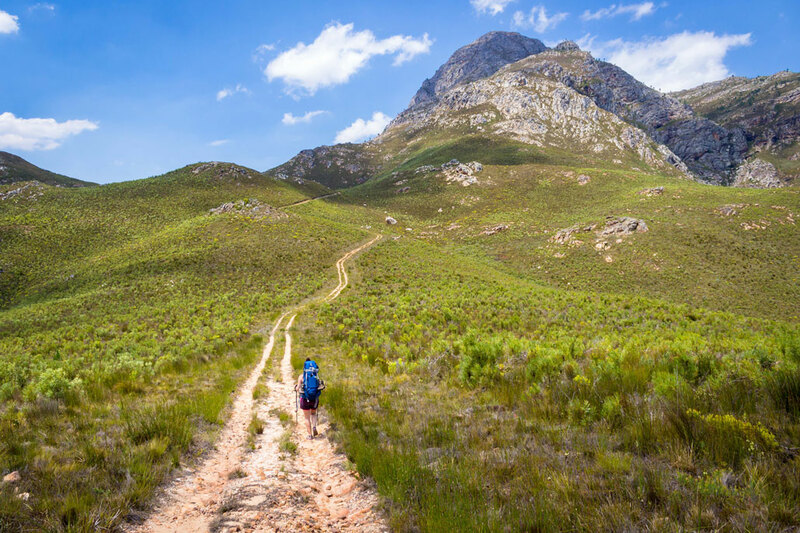 Starting from Greyton is also a good gauge of your fitness as the trail starts with 6km of relentless, uphill jeep track which can be made much worse by heat, so get an early start. 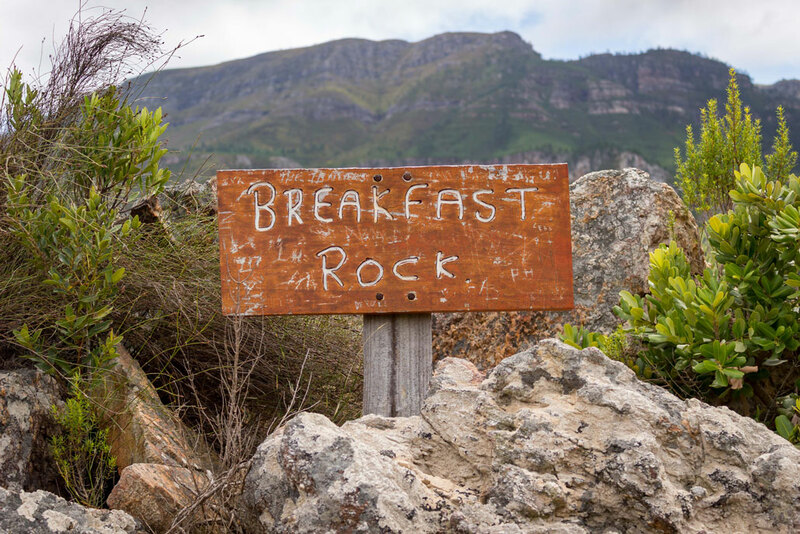 Breakfast Rock is a perfect spot for a break, but don’t rest too long, as you have only just started. 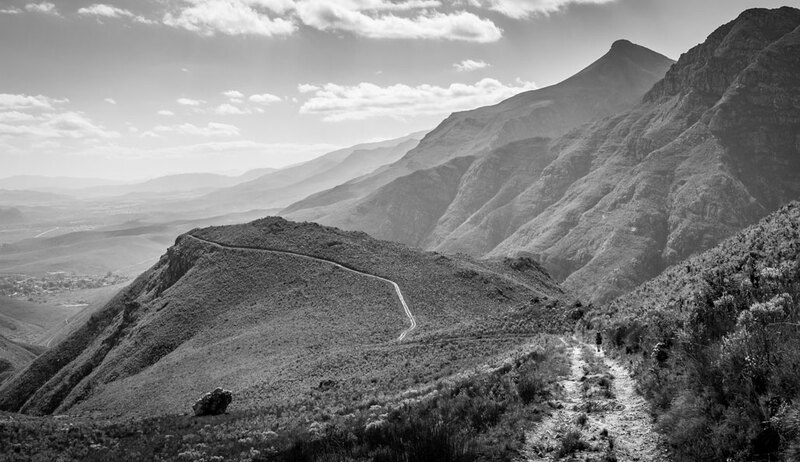 As relentless as the uphill may be, the view of the jeep track leading toward Perdekop is very photogenic and a beautiful distraction from the hard work. 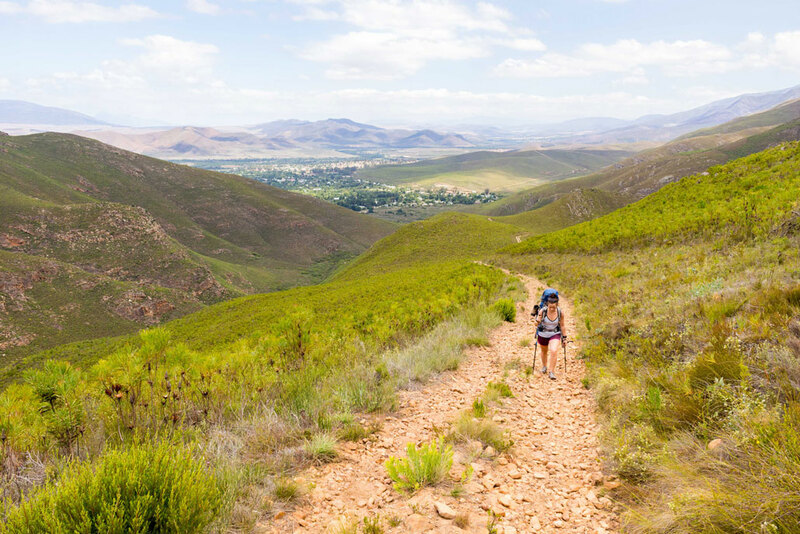 Once you reach the top of the hill you get treated to a beautiful view of the valley and the trail that leads you into the heart of Boesmanskloof. 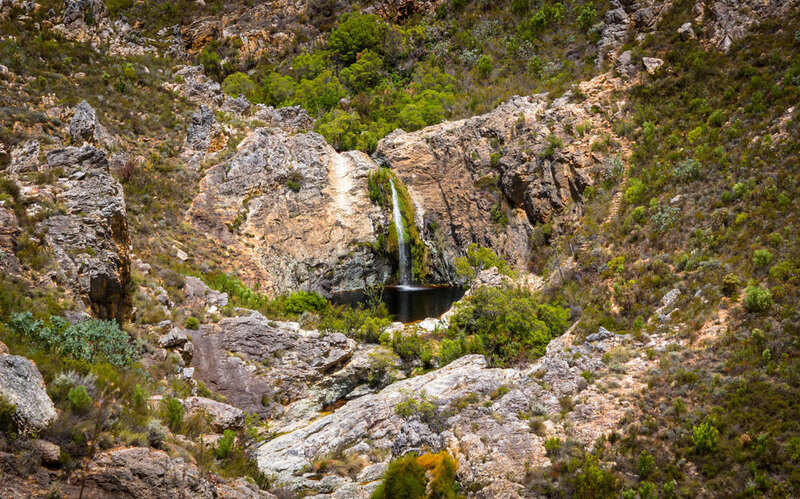 Halfway between Greyton and McGregor you reach Oakes Falls – a beautiful series of waterfalls with the main fall spilling into a perfect swim spot. We easily spent 2 hours here eating lunch, swimming and relaxing. Another reason to get an early start is to spend as much time here as possible. Winding your way through the rest of the valley, you will eventually reach “Die Galg” and the remains of an attempt to build a mountain pass through the valley in the early 1900’s. 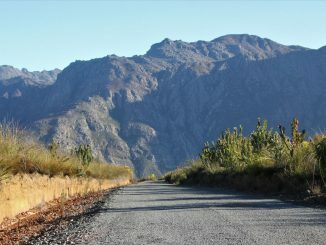 The plan was to connect the two towns and avoid the 100km trip around the mountains. 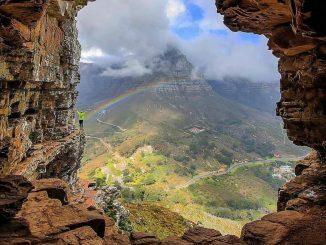 The last climb of the day ends as you reach the spectacularly positioned Eagle’s Nest cottage – the location of this place is unreal! 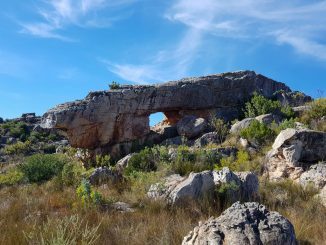 From Eagle’s Nest, it’s another 2km walk to the Onverwacht Cottages. 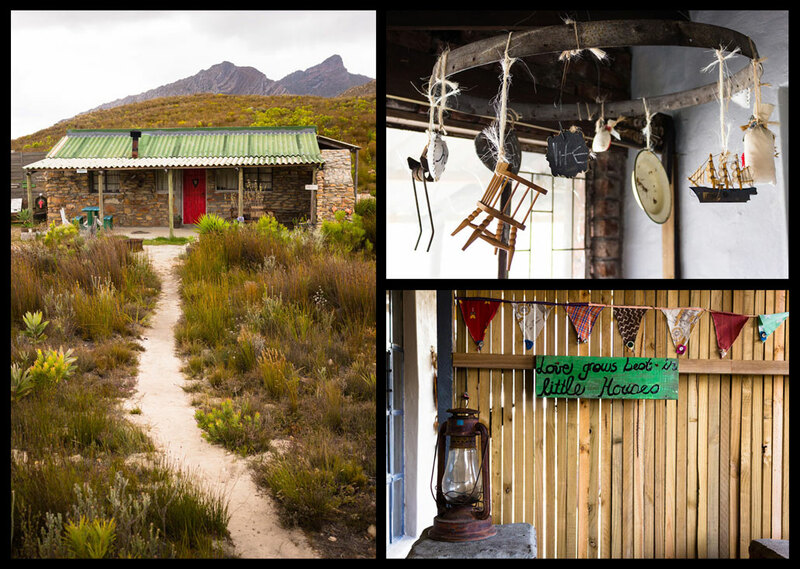 Arriving at the Onverwacht Cottages, one is immediately aware of the love and personal touch that has gone into these cottages. We felt like we stepped into an old fairy tale (who can remember “Liewe Heksie”?). The view from the cottages is just as special and we took our time the next morning, leaving the cottages as late as possible. Heading back the same way as you came, you get to enjoy the beautiful valley from a different angle. 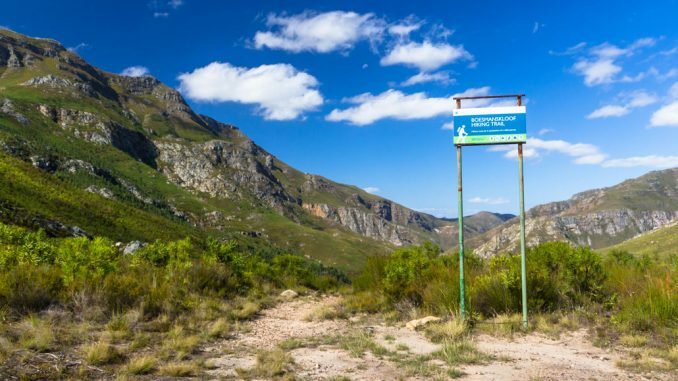 As you cross the neck and start back down the jeep track from the day before, the leading lines of the path, the beautiful mountains and the town of Greyton in the distance makes for a perfect ending to a wonderful trail. 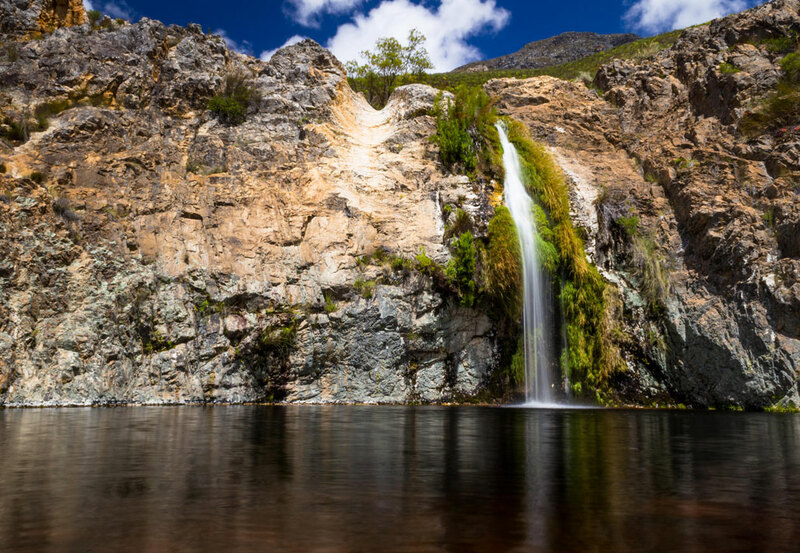 Two hours from Cape Town, the Boesmanskloof Hiking Trail is a perfect weekend trail that leads one through a pristine mountain landscape decorated with Protea, Sugarbirds and a beautiful waterfall and swim spot. 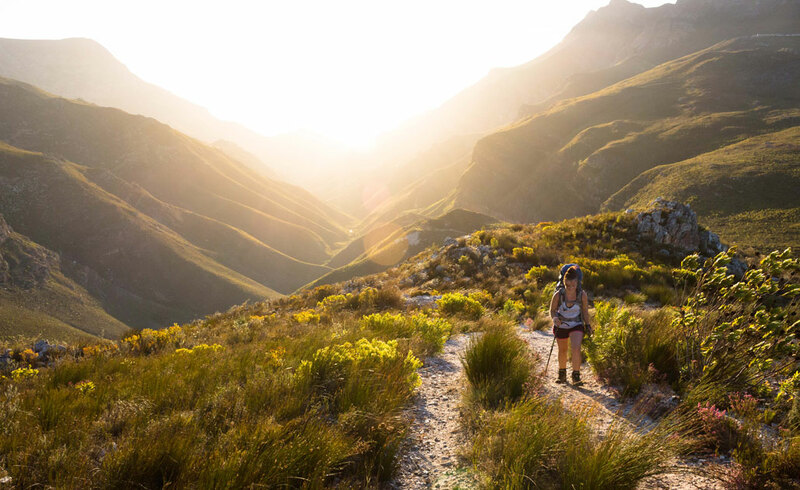 A definite must-do for any reasonably fit hiker. Great write up with amazing photos! Can’t wait to do this hike again! Good Day, We are doing the same route next weekend. Where did you leave your car?